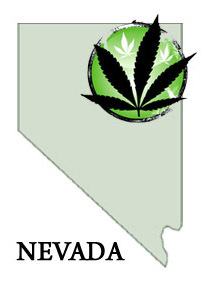 Do you own or manage a medical or recreational marijuana dispensary in Nevada? Are you tired of operating as a cash-only business and interested in credit card processing for your customers? The Transaction Group (TTG) has your solution. TTG has been assisting the cannabis industry with non-cash payment services since 2011. Together with our banking partners, we offer a solution that allows marijuana dispensaries to accept debit and credit cards from customers. Our marijuana dispensary credit card processing solution is a favorite of both customers and dispensary owners in Nevada. Customers are not inconvenienced with having to carry large amounts of cash or visit an ATM in order to have the funds to purchase their products. Dispensary owners are able to offer this value-added convenience without paying high merchant account rates and fees. The approval and set up process is just as easy. In addition to the application, we require very few support documents for approval. In most cases, marijuana dispensaries in Nevada can be approved and set up with our credit card processing solution in under 7 business days. We understand the challenges businesses like yours have faced with financial services over the past several years. But, operating your cannabis dispensary as cash-only is a thing of the past. If you operate a marijuana dispensary in Nevada and need a reliable credit card processing or banking solution. Stop gambling with your revenue & call us today at 888-383-8056.